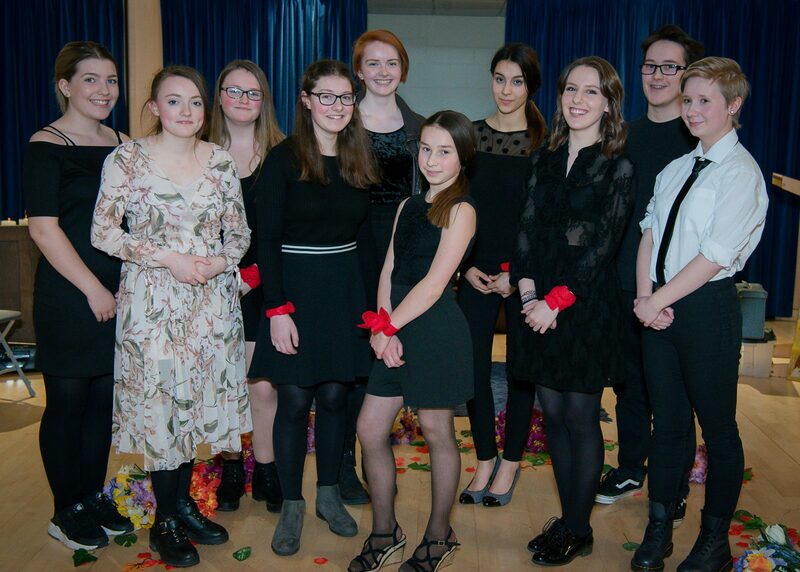 Masque Youth Theatre was first introduced to me through the Summer School which I attended last year. The time I spent there, meeting new people and participating in the group games and activities strengthened my desire to become a member. At first I had little confidence in myself and my ability to make new friends, but I found the members of the Youth Theatre friendly and welcoming. I was quickly accepted. Since joining, I have felt a real sense of belonging and the friendships within the group make me feel like I’m part of a family. It wasn’t until we began rehearsing for Ringtime did I think my new found confidence would be tested. The prospect of learning lines, taking direction and the thought of an entire audience looking at me as I delivered it all, was terrifying. Never had I performed in any sort of production before and I felt completely out of my comfort-zone. However, my director gave me constructive comments and the other members of my group who I acted alongside also gave me areas that I could improve on and the support I needed. Of course on the opening night, I was nervous, but I experienced a huge buzz from being under the spotlight and even when I was backstage, it was still exciting. Now in my second year at Masque I can think back to how I felt and wonder if the new members will get as much enjoyment from their first production as I did. I look forward myself to performing again, this year and many years to come.